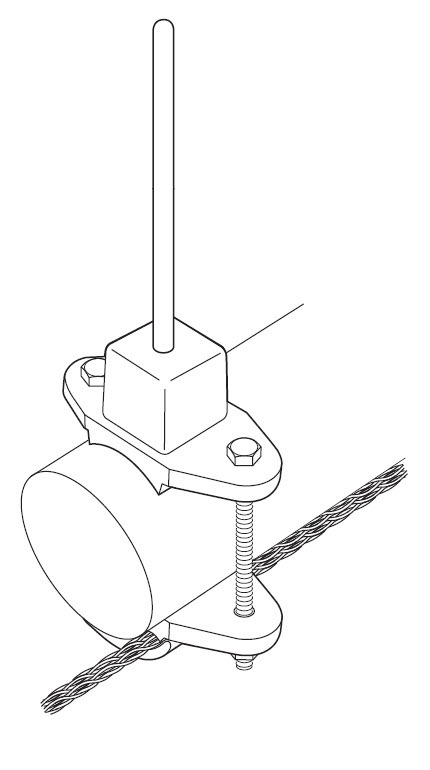 A cast bronze base for mounting air terminals to the top of horizontal pipes or railings up to 3" OD. 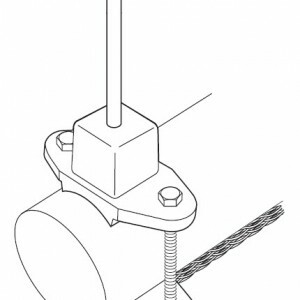 2-way bolt pressure cable holder fits cables up to 4/0. 4" (10.2 cm) stainless steel bolts, nuts, washers. 4.5" x 1.5" (11.4 cm x 3.8 cm); Approximately 30.16 oz. 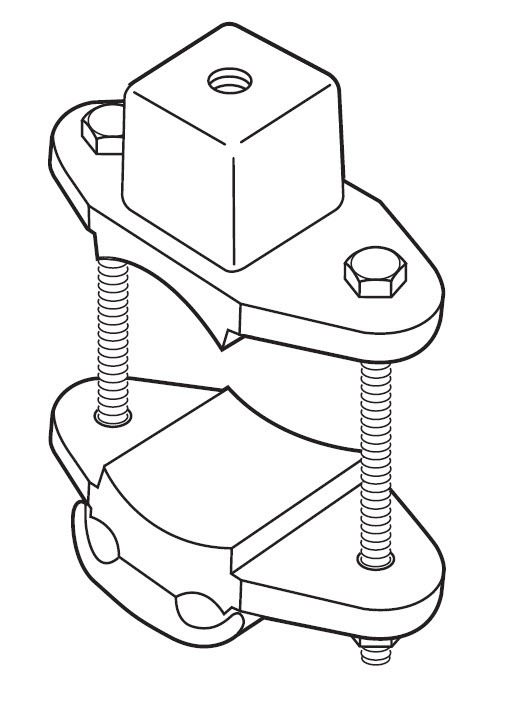 (855 grams) Use suffix 3/8, 1/2 or 5/8 to denote air terminal thread size. Dimensions 4.5 x 1.5 in.